Mathematics is one of the disciplines with which Brazilian students can have difficulties. 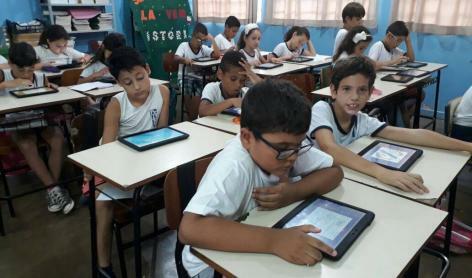 However, students in the municipal school system in Batatais, in the countryside of São Paulo, are proving that learning numbers and calculus can be a more fun experience with the use of educational games in the classroom. Thanks to a partnership between the Learning Objects Laboratory (LOA) of the Federal University of São Carlos (UFSCar) and the municipal secretariat of education in Batatais, 3rd grade students from seven public schools participated in a pilot project for the preparation of games that could favour math learning. For this, the project uses the REMAR platform, developed by the UFSCar laboratory since 2015 and supported by the Brazilian Research & Education network RNP. REMAR allows the creation and reuse of open educational games. Games are types of Open Educational Resources (OERs), published with a Creative Commons open license, which facilitates their reuse by third parties and the creation of new games. According to the definition provided by the United Nations Organization for Education, Science and Culture (Unesco), “Open Educational Resources (OERs) are any type of educational materials that are in the public domain or introduced with an open license. The nature of these open materials means that anyone can legally and freely copy, use, adapt and re-share them”. According to UFSCar’s Computing Department professor and one of the coordinators of the REMAR project, Joice Otsuka, the games can be customized directly by the teachers in the platform according to their educational goals, without depending on a specialized technical team. Currently, among the models available, it is possible to find LabTeca, a 3D virtual laboratory for experiments in chemistry; Magic School, platform and quiz games; Hangman; among others. The REMAR platform was initially adopted in undergraduate and postgraduate courses at UFSCar. In August and September 2017, 19 teachers from the 3rd grade of the municipal network participated in lectures and workshops to learn the process of building games. The result was the customization of 46 games in 2017. Since the platform can be accessed through mobile devices, the city government also invested in the purchase of 1,600 tablets for student use. The first contact of teachers with OERs was at the International Symposium on Distance Education and Meeting of Researchers in Distance Education, promoted by UFSCar in 2016, during a lecture about open educational games. The partnership between the LOA and Batatais education department was established in January 2017, and five months later, teacher Fabiana Nazzar from the Ana Bonagura de Andrade municipal school was elected the responsible for the preparation of topics that could be transformed into educational games such as problem situations, multiplication table, fundamental operations, measures of time and capacity, among others in the areas of mathematics and science in general. For the educator, it is another tool to help the teacher enhance students’ learning process. “The student has been challenged more by answering through games instead of tests. We are trying to engage these students differently in this learning process”, says Fabiana. With the acquisition of a local server in late 2017, the intention of the Batatais city government is to expand the use of the REMAR platform to other public schools in the municipality and also to early childhood education. So far, trainings have been offered to pedagogical coordinators of the network. A page for the project was also created on Facebook. 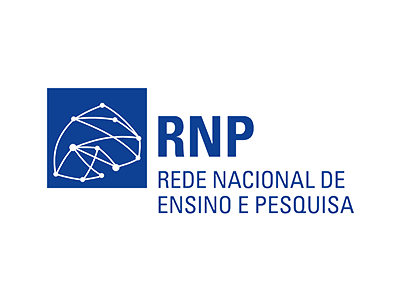 The REMAR platform – Multiplatform and Open Educational Resources in the Network – received support from the R&D Thematic Programs in Distance Learning (EaD), coordinated by RNP, since December 2014, with funding from the Coordination for the Improvement of Higher Education Personnel (Capes). “We hope that REMAR contributes to mature the movement of open educational resources in Brazil, encouraging developers to share models of open games and motivating teachers to create their customizable games”, said REMAR assistant coordinator Joice Otsuka.